If you browse through this blog (which is somewhat of a journal) you’ll see that I don’t write very frequently. Sometimes I go months and even years between entries. Its mostly because when I start to journal I feel that I have to write something meaningful and/or poetic and sometimes—most times—I am feeling neither. A year ago I started to keep a different type of journal to archive my feelings. I began to use found foliage. 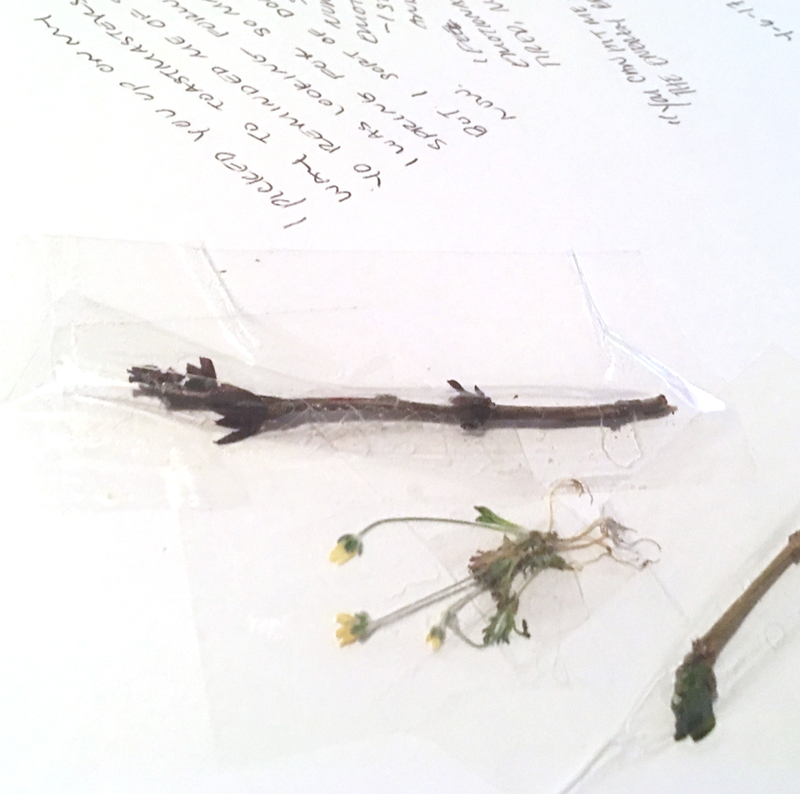 I pluck or pick-up leaves and flowers that resemble the feelings that I am experiencing. I keep them in a sketch book and write a little note by them. It’s not about detailing what I was doing, but rather to capture the feeling of a specific moment. Here are a few entries. 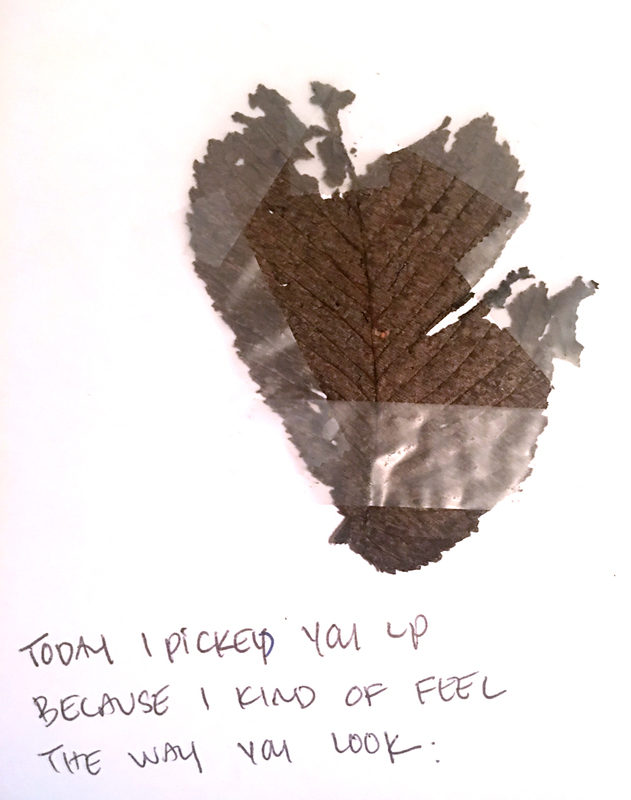 Today I picked you, because you kind of feel the way you look. 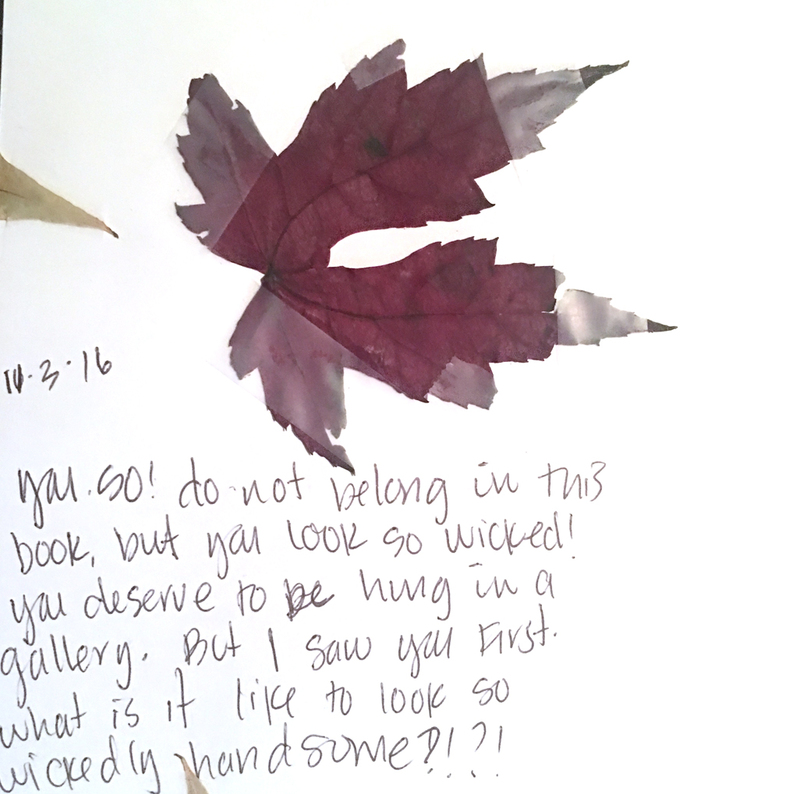 You look so wicked! You deserve to hang in a gallery somewhere, but I saw you first. What is it like to look so wickedly handsome? 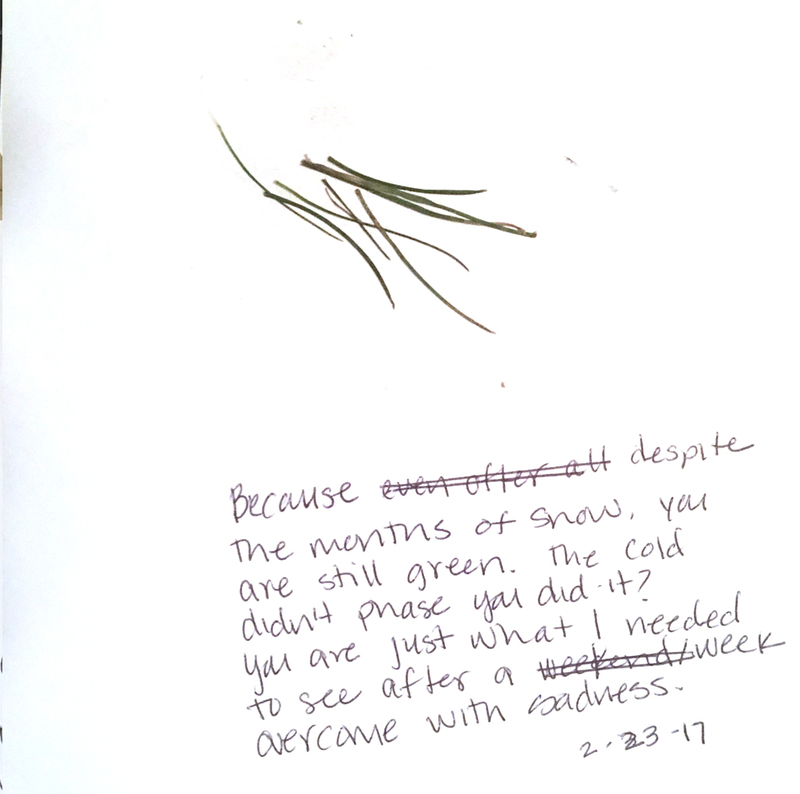 Because despite months of snow you are still green. The cold didn’t phase you did it? You are just what I needed to see after a week overcome with sadness. You were 116th monthaversary. She said that you were the best bouquet ever. 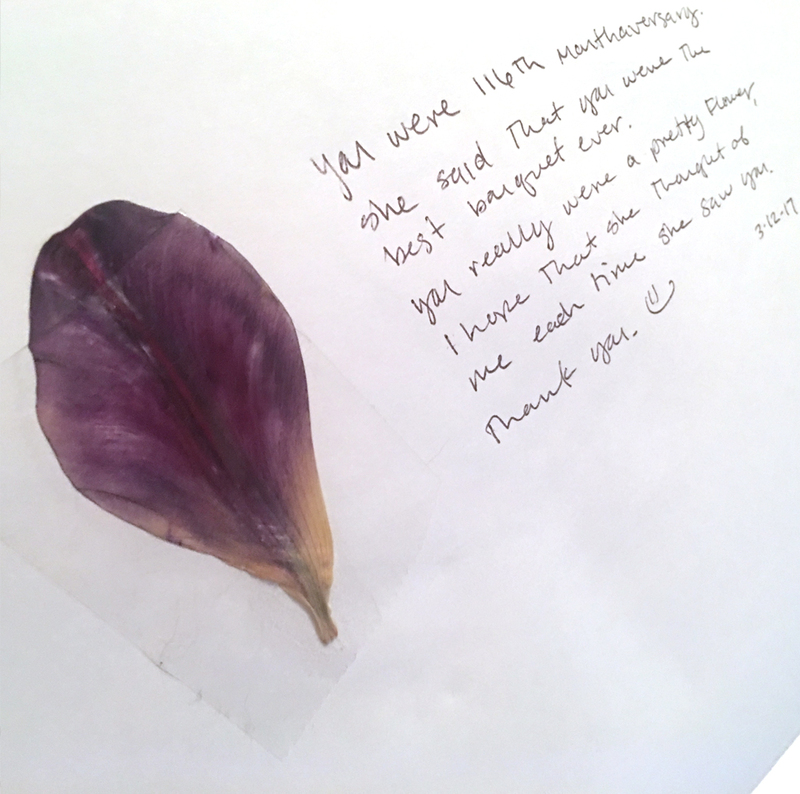 You really were a pretty flower. I hope that she thought of me every time she saw you. Thank you. Mom smiled like she does when she is joyful. I don’t see that joy in her as often any more. I love her and I know that one day I will miss her. 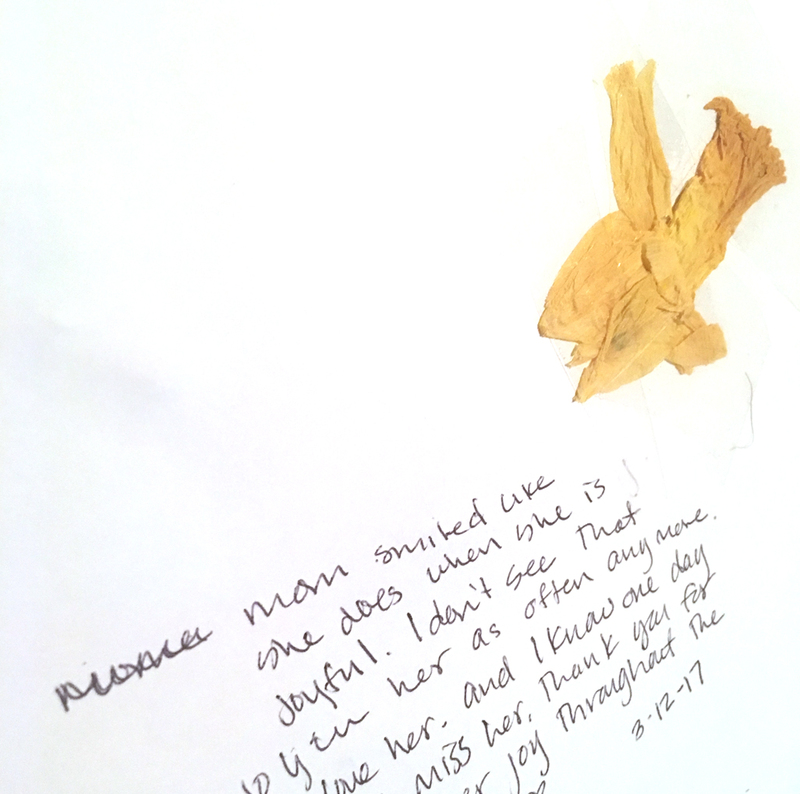 Thank you for giving her joy through the week. I found this flower poking out of the snow on my way to toastmasters. My first winter in Ellensburg was rough and I really felt the need for something colorful. I felt overwhelmed. This doesn’t say much about what I might have been doing at the time, but I remember perfectly what I was feeling. It’s how I journal sometime.